We are a girls’ summer camp committed to bolstering self-possessed, compassionate young women by promoting the fierceness of friendship and the power of self-discovery. In a reunion address from beloved retired owner Nancy Burns (affectionately known as Nan E.B. ), she announced that 31 people in her family had attended Camp Waukeela. That’s because, since 1922, Waukeela has maintained a legacy of community and tradition, where campers can feel right at home. The current directors, Jayson and Alexa Rubin, are dedicated to continuing this legacy where girls from all over the world are bonded together through the strong history of Camp Waukeela. “Whenever I see a pine tree, Waukeela I will think of you,” is the alma mater your daughter will fondly recall by summer’s end — just as generations of campers throughout the years have before her. By design, our program gives girls the opportunity to try new things while developing natural talents. Campers partake in fun group experiences and also have the freedom to choose which camp activities they want to pursue daily. Whether on the lake, in a production, on the pottery wheel, or on the playing field, we give each girl the opportunity to be her best self while she is at Camp Waukeela. Our self-guided learning model allows girls to develop the skills to lead. We encourage a strong mentorship culture that nurtures confidence and promotes courage. Leadership opportunities grow as campers advance in the program. 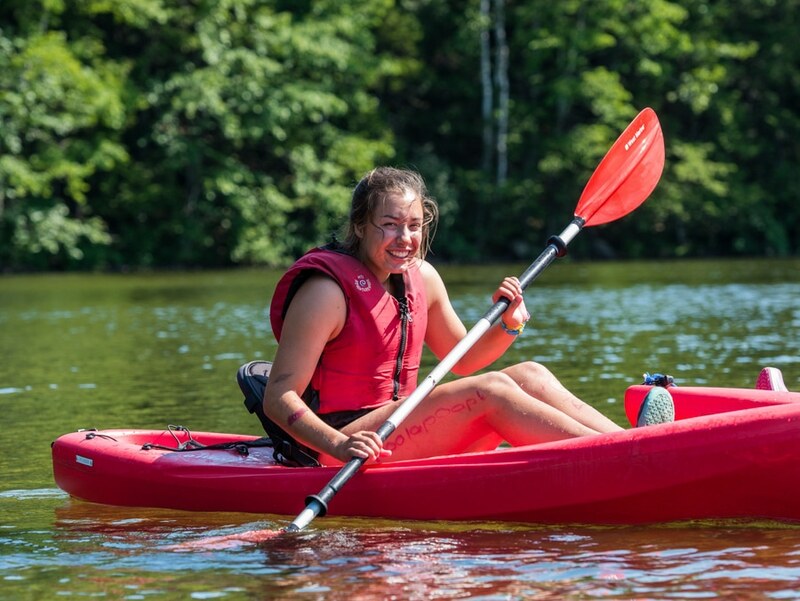 After a summer at Camp Waukeela, your daughter will return with a higher level of confidence in herself, her choices, and the way she treats others. We believe in the transformative nature of friendship. That’s why we assign a mentor (AKA, sister) to each new camper. Girls succeed in making new friends and learning how to be a great friend. Any Camp Waukeela alumna can tell you that camp friends are the best friends you will ever have. We promote mentor and mentee relationships in both directions. They keep everyone feeling safe, secure, and included. 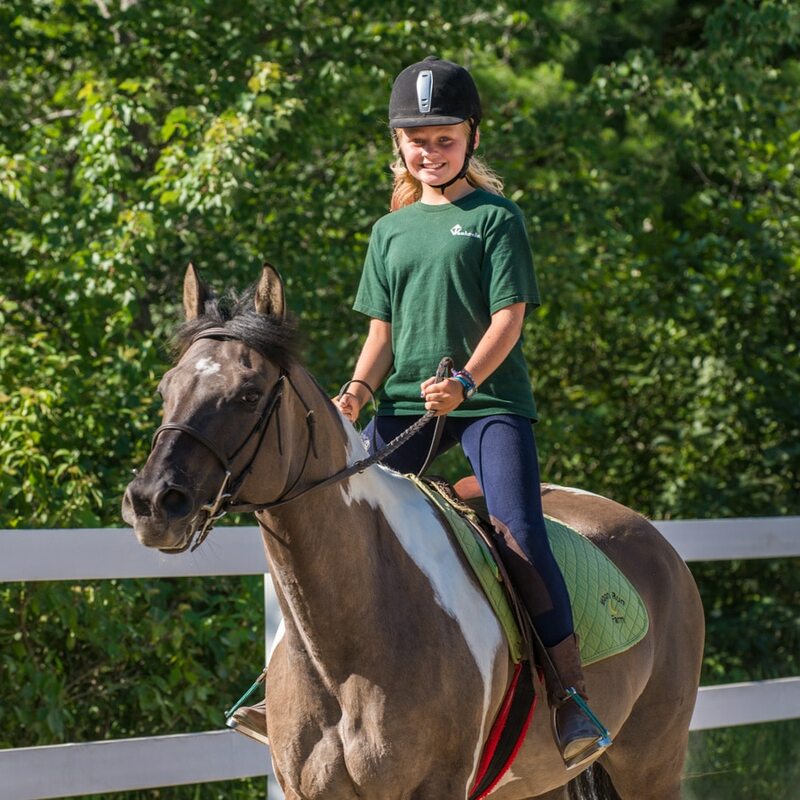 At Camp Waukeela, our campers have the opportunity to experience failure and success in a safe environment, where we don’t keep score for each failure, and campers can try and try again. Waukeela girls get to discover their courage in a variety of activities and in the beauty of the great outdoors. 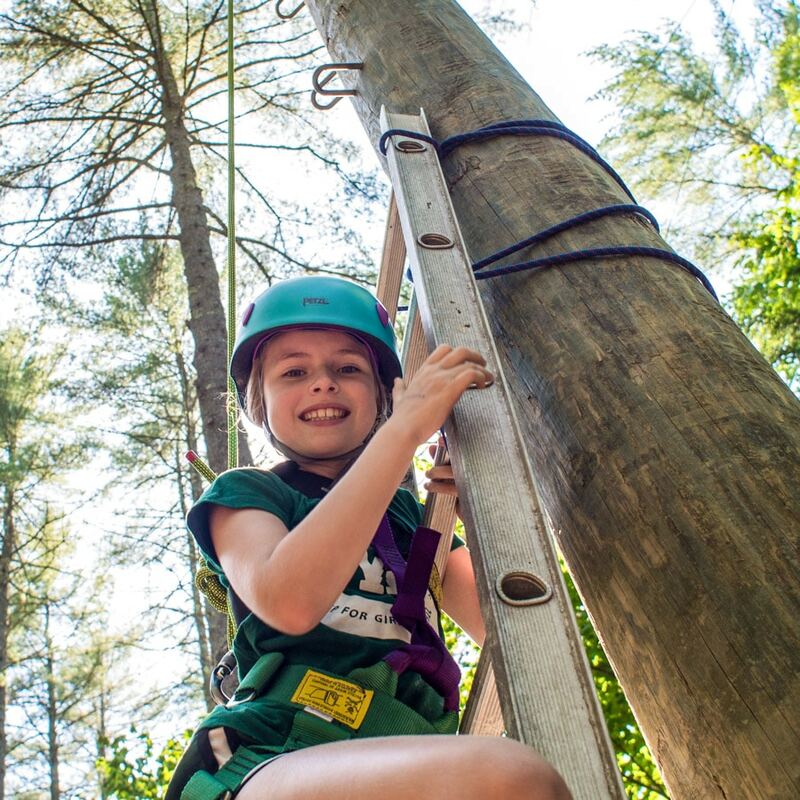 Our Outdoor Adventure Trips empower girls to challenge themselves in a safe, natural environment. In every situation, she has the freedom to fail while getting the support she needs to succeed. 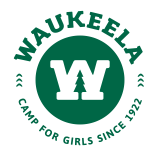 Camp Waukeela has remained a summer camp where girls can be a part of something larger than themselves. There’s a song for nearly every activity. The water is so clear that you can see the bottom of Crystal Lake. The loons greet campers every morning and evening. Campers sleep in beautiful teepee tents, look up at the stars, and roast s’mores on a campfire. She will be among friends, sharing laughter and excitement, feeling the warmth and belonging of a typical Waukeela time. What do all these things have in common? They’re moments she’ll cherish and memories that last a lifetime. We’ve been perfecting the experience since 1922. We rise by lifting others! It’s the Camp Waukeela way. Camp friends truly are friends for life. Building mentor and mentee relationships benefits everyone. It takes a village to succeed, and everyone has something to contribute. 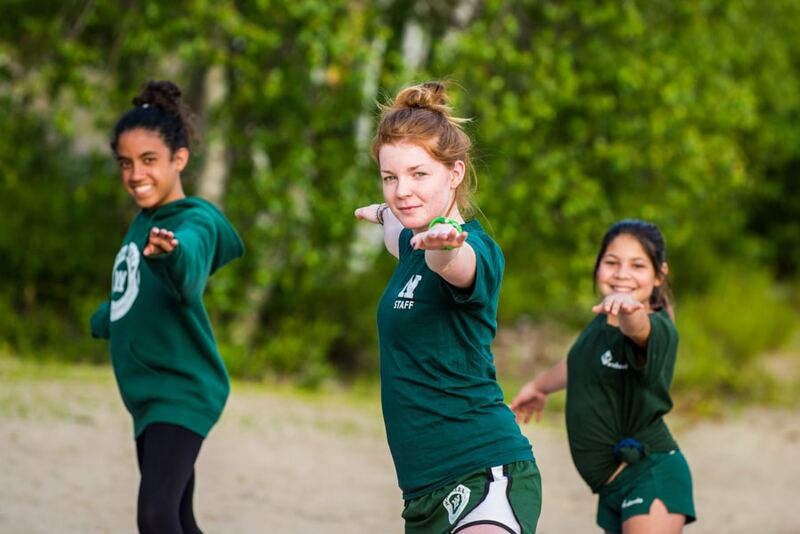 At Camp Waukeela, we aim to build each other up, develop skills, and experience leadership and growth together. No Waukeela girl succeeds alone. At Camp Waukeela, every camper is accepted for exactly who she is and supported in times of growth.